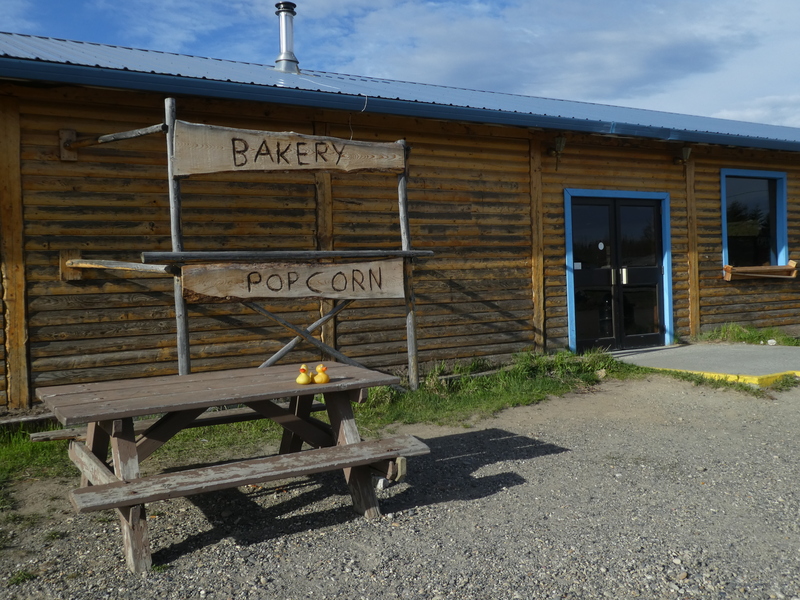 Driving south from Fairbanks on the Parks Highway, Nenana captured our attention. Driving over the Alaska Native Veterans’ Honor Bridge, we stopped near the Visitor’s Center. 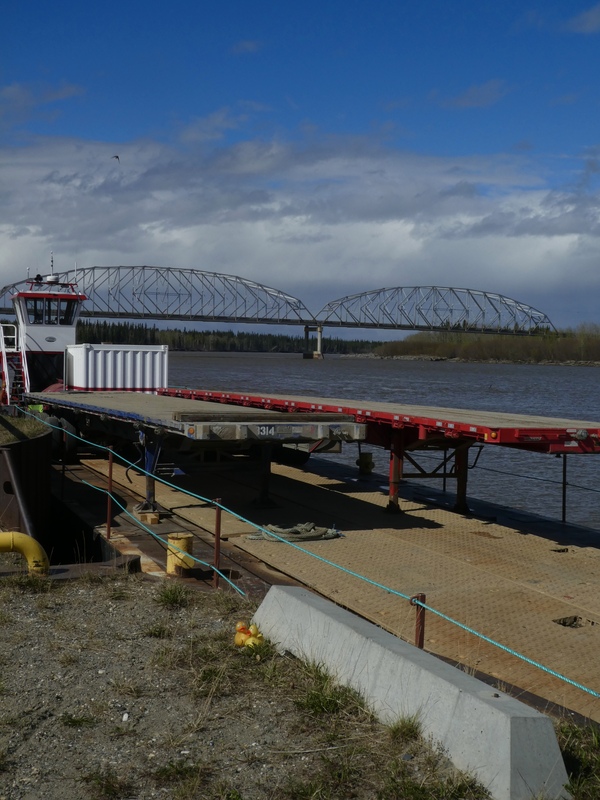 A sign explained that this bridge was dedicated to Native Alaskans, Eskimo and Indian, that fought in the wars for the United States. A great cause and a great bridge. 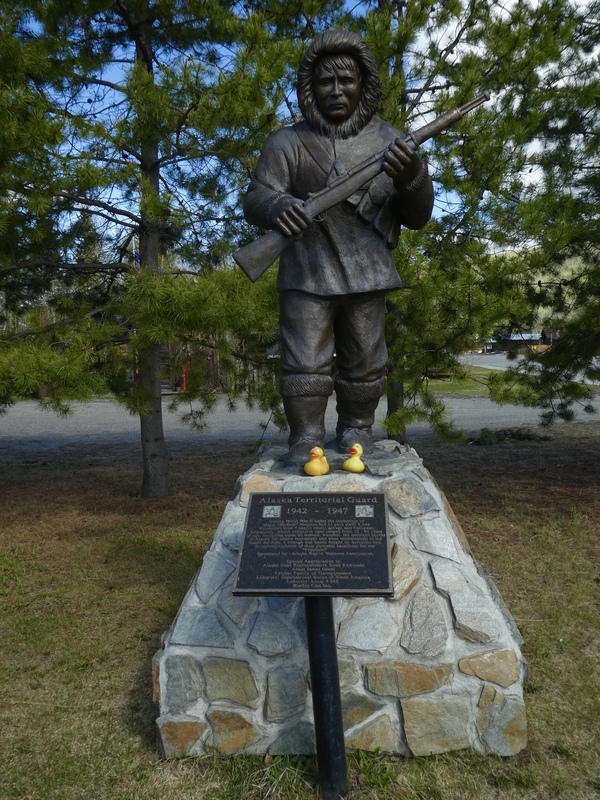 Another sign and statue was dedicated to The Alaska Territorial Guard. The sign referred to the years 1942-1947. 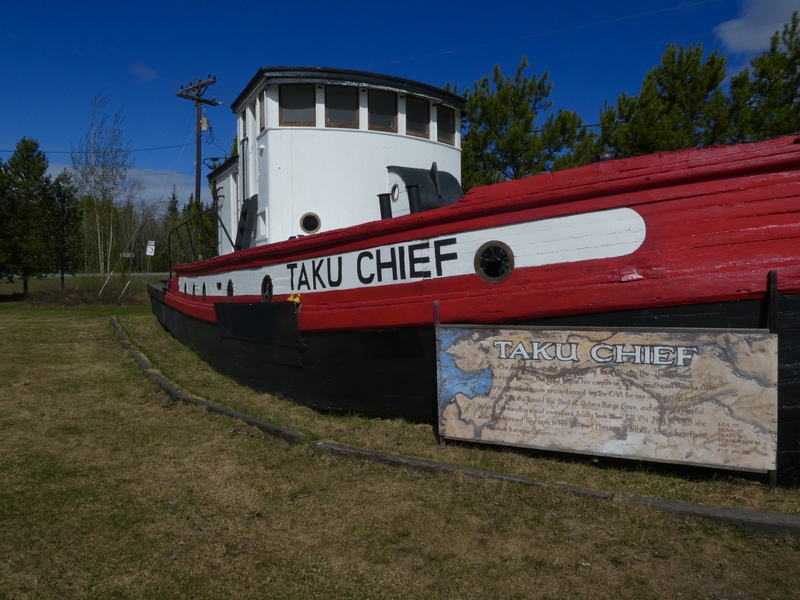 Here is a wooden tug boat, Taku Chief. Taku Chief was one of the last wooden tugs used on inland Alaskan rivers. The wooden tug was designed by H. C. Hanson and launched by Olson and Sunde Marine Works in 1938. 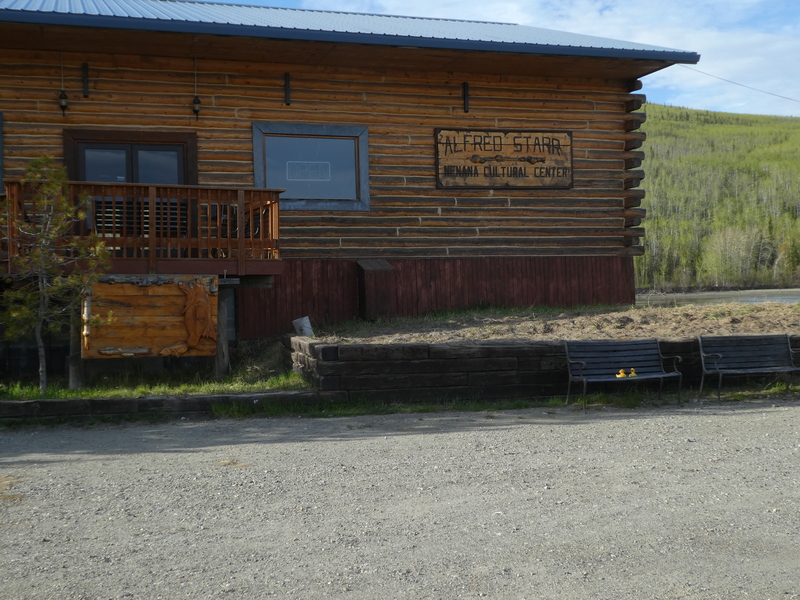 Taku Chief was retired here, in Nenana, in 1978. Further into town we visited the Alaska Railroad Museum. 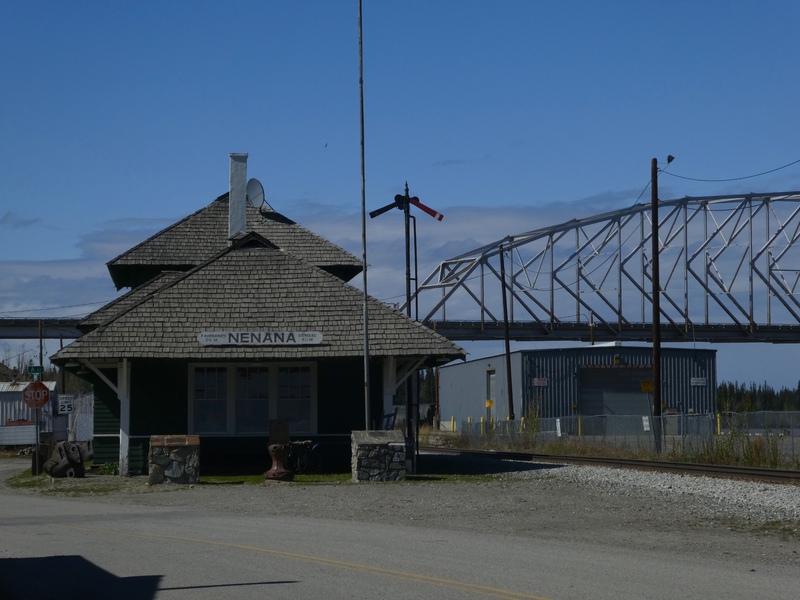 The railroad depot was completed in 1923, the same year that Presiden Warren Harding arrived here to drive the final golden spike, near the bridge, to commemorate the completion of the railroad between Anchorage and Nenana. 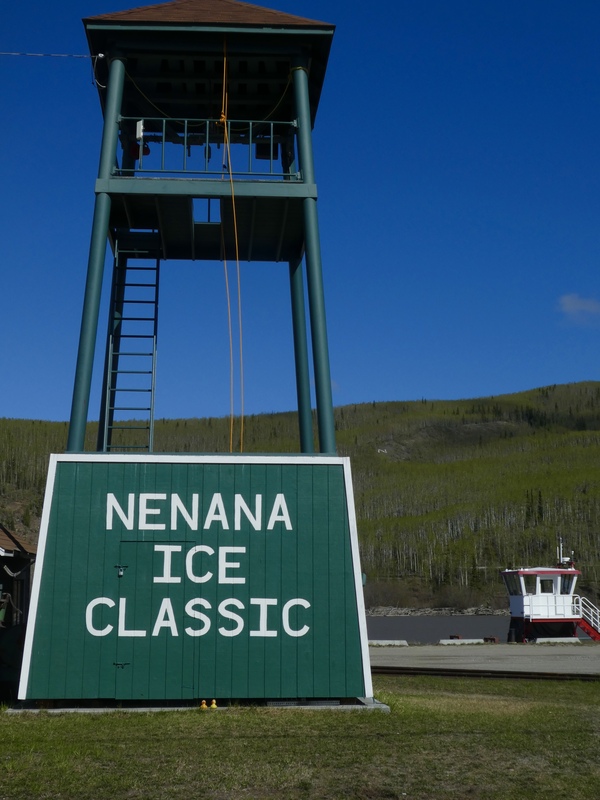 Near the train station is the site of the Nenana Ice Classic. Every spring there is a huge contest to predict the exact month, day, hour, minute and second of the ice break up on the Tanana River. This tripod, attached to a clock, sits on the ice. 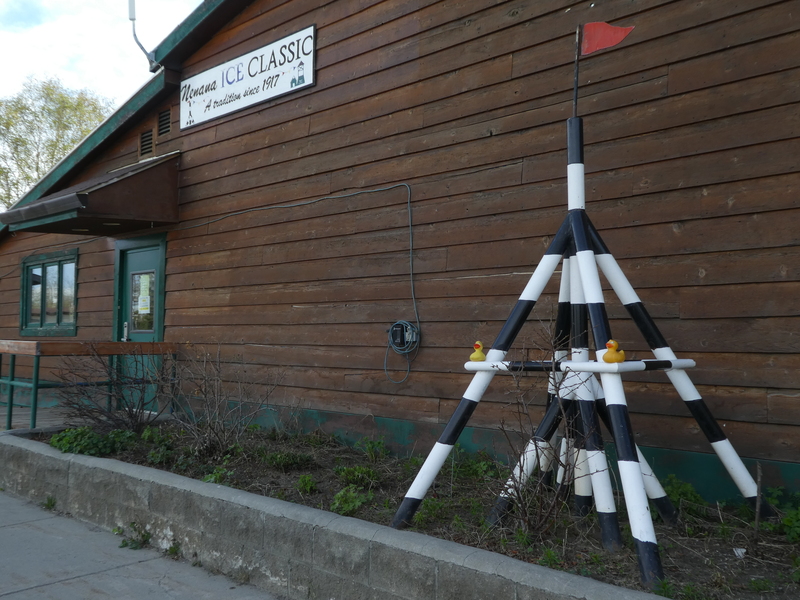 When the tripod moves, the ice has melted enough and the winner of the spring classic is declared. The winner wins several thousand US dollars. 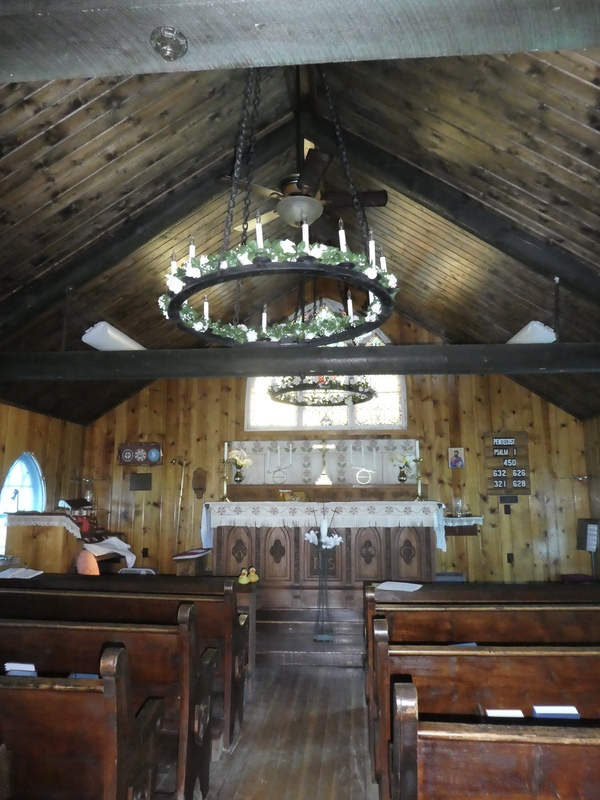 One of the oldest buildings in Nenana, St. Mark’s Episcopal Church was built in 1905. In the early years, school was held here also. Continuing through town, we stopped at the cultural center. We watched some young boys practicing on drums. The next building really called to us. Bakeries are always good. 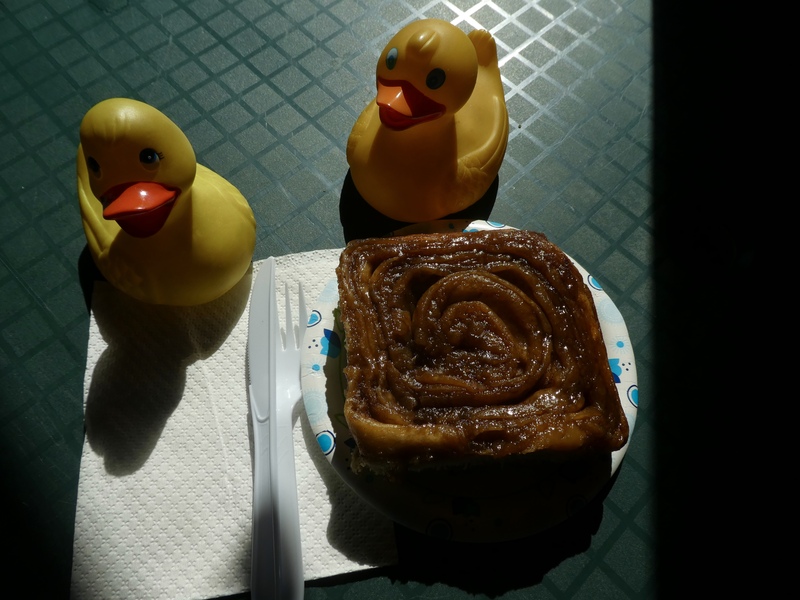 We saw large cinnamon rolls with carmel topping. Fresh, hot cinammon roll. Delicious! The lady told us those were baked yesterday. She would go upstairs to get a fresher one. The baker sent her downstairs to get oven mits for our roll. You can’t get baked goods any fresher! And it was delicious. 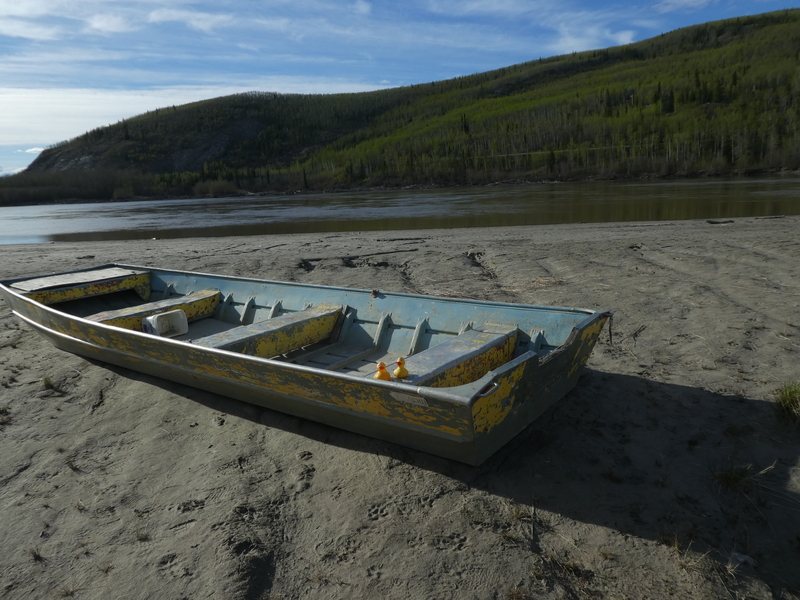 After savoring our roll, we walked behind the bakery and admired the boats on the bank of the Tanana River. 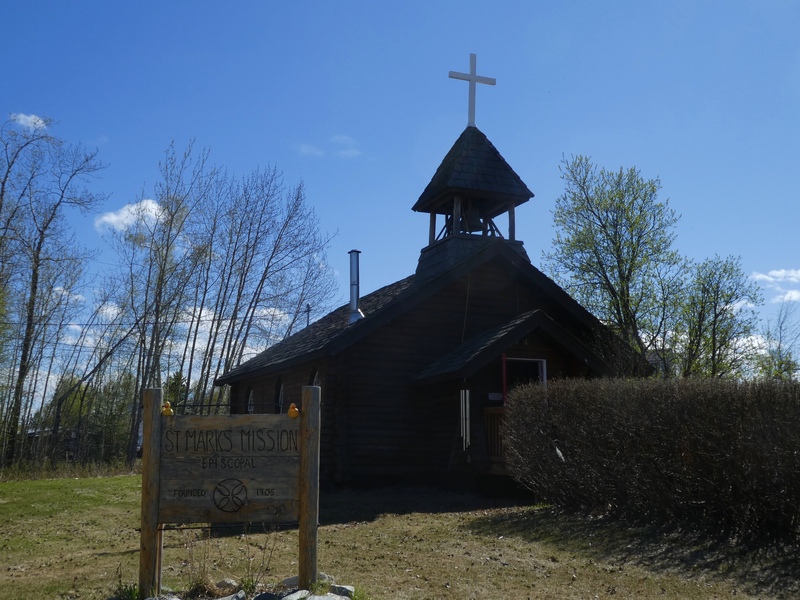 We really liked Nenana and will stop here if we are ever in the area again. It would be nice to see you there also.